Contrast Stitch Industrial Goth Tie. Contrast edge stitching - available in a variety of colours, make your selection. 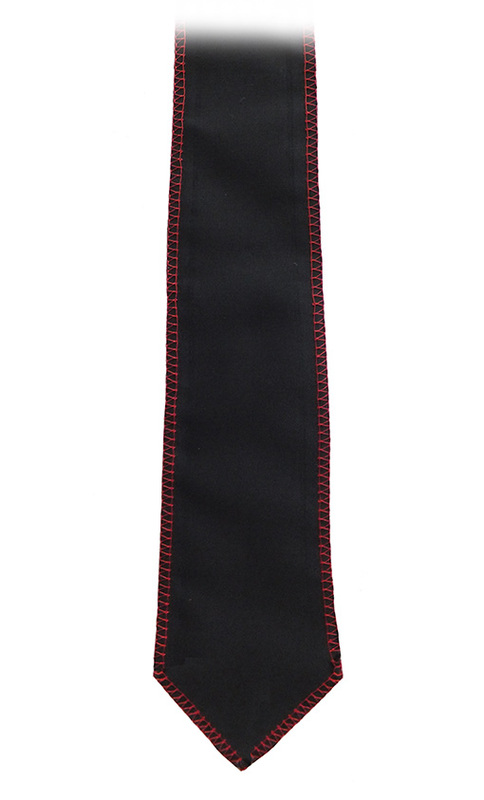 The tie itself can also be made in other colours - email to discuss. 100% cotton base - sewn around edges. Tie width at bottom - 3 inches. Can be made wider or thinner on request.